Ivan Örkény is a digital media artist residing in New York. 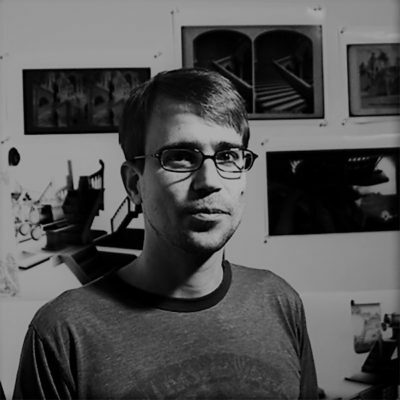 His techniques include 2D, 3D and Stop Motion animation, 3D printed sculptures and CGI prints. He specializes in Emerging Technologies, Video Art, and Installation. He was born in Budapest, Hungary. He moved to the United States to study film and animation. He received his bachelor’s degree from Bard College, and then went on to earn his MFA graduate degree from Columbia University. His work has been shown at WRO05 International Media Art Biennale, Poland; Artists Support Witness, New York; LOOP Video Art Festival, Barcelona; (HACS) New Media Festival, Miami; Art Forum, Berlin; Laviola-Bank Gallery and numerous film and animation festivals.